We’re getting closer and closer to the end of 2018, but we’ve still got one more month, and that means it’s time for the last sci-fi/fantasy book releases post of the year! I don’t know if December is a big month for releases, what with everyone being busy around the holidays, but there are still a few more books coming out that I’m excited for! I am honestly so excited by the idea of a character having the power to manipulate my favorite color! But even if weren’t red, the idea of being able to manipulate a specific color is really intriguing to me. I love retellings, and December is the perfect time for a Nutcracker retelling! With their peg legs, their parrots and the skull and crossbones flying from the mastheads of their ships, classic pirates are some of the world’s best-known and easily recognizable outlaws. Or are they? These fifteen stories spin new tales of pirates crossing dimensional barriers for revenge, fighting terrible foes in outer space and building new lives after the Trojan War. Travel to the South China Sea, then on to New York City after a climate apocalypse, then roam the Caribbean during the Golden Age of Piracy and voyage to distant and fantastical worlds. Go with them as they seek treasure, redemption, love, revenge and more. Raise the Jolly Roger and sharpen your cutlass (or recharge your raygun) and climb aboard for some unforgettable journeys. I’m hesitant to read any more anthologies since they just don’t work well for me, but this one is very tempting! I’ve really been wanting to read some SFF about pirates! I’ve enjoyed the first two books in this Weird West series, so I’m looking forward to continuing! You guys! It’s about a banshee! You know I can’t resist uncommon supernatural creatures. Betrayed by his brother and imprisoned in his sister’s dungeon, Olivier d’Arjou isn’t about to let a few chains get in his way. A vampire for six hundred years and a plague on his family for longer, he has no reason to hold back from wiping out the last of his family members and anyone who gets in his way. But first, he’ll need to break free. When Oberon North, witch and survivor of one of Olivier’s most heinous crimes, comes seeking vengeance, it should be child’s play to bend the witch to his will. But Oberon comes with more power and resilience than Olivier expects and forces him to confront truths he’d rather avoid. But Olivier’s inner conflict must take a backseat when he learns of his sister Aurelia’s plan to save the world from the demon Xadrak. A battle generations in the making, to succeed requires the ultimate sacrifice from both Olivier and his brother Thierry – and the last chance Olivier has to reclaim his humanity and a future he never thought possible. I read the first two books in this trilogy years ago, and am in the process of rereading them now. It’s a great, fairly dark and intense M/M series, and I’m excited to finally get an ending! What November/December 2018 book releases are you looking forward to? Ooh I’m glad you’re keeping these coming! I need new stuff to geek out over. That pirate anthology I just might need to get. Wait! A banshee book? I’ve been wanting one of those for forever. Yesss!!!!!!!!!!! It’s always a good time for more books to geek out over! I am honestly so tempted to try the anthology! Yes! Doesn’t it sound so interesting?? Oh, Winter Dream sounds really nice. Really young adult-ish (aka I’ve already read similar blurb) but I’m all up to this kind of things. I probably won’t manage to read it for Christmas period, but I’m going to look a tthe author page. Sometimes this minor publishers and less know authors have really nice books to show around. They really do! And seriously, I want to be able to manipulate color now lol. My favorites are the first two on your list!!! Alizarin Crimson sounds wonderfully original and I love the idea as well as the cover art. Great find! It does sound super unique! So so so curious about ALIZARIN CRIMSON and the use of the colour red like that. It’s creative, unusual and never actually seen that before as a plot. In general though, wonderful list Kristen — you find the most unusual titles! ohh loving these new releases! You know I’m not SUPER into retellings BUT I do love the Nutcracker story because of my daughter dancing in it :) so I’m very interested in Winterdream! Love the cover and title! Hope it is good! Nice! The Nutcracker is an interesting story, so retellings always sound neat to me! All of these sound so good. I especially interested in the Millard one as well at the Nutcracker retelling. I always fid the most interesting books here! Those two sound really cool! Winterdream is on my TBR! I don’t think I’ve ever read a Nutcracker retelling, and this one sounds amazing! Like you said, perfect for a December read! I just added Scourge of the Seas to my list. I love stories about pirates! I think that’s my weakness when it comes to books. A book can have really bad reviews, but I’ll still read it if there’s pirates. I don’t have as many December releases that I am excited about actually. I hardly have any review copies for this month too, which is kinda nice for a chance. i do have a review copy for January already, but mostly hope to focus on reading non review books this month. Alizarin Crimson sounds promising. 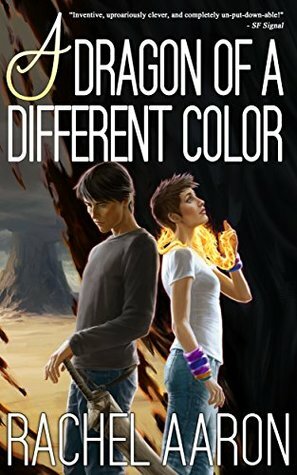 I remember seeing another series once where people sort of could control color, the Lightbringer series I think it’s called. That pirate anthology seems fun. I’ve been reading a Fantasy pirate series that’s a lot of fun and realized I actually don’t read about pirates that often. Banshees are rare to see books about indeed. I read Rachel Vincent’s Soul Screamers series which is about banshees and it was great to read about them. Yeah, I think maybe there are fewer releases in Dec. I normally like to relax with non-review books in Dec, I have multiple Dec and Jan ARCs, so I’m still feeling the pressure a bit lol. The idea of controlling color is so cool! I’ll have to check out that other series too. Ah, I just read your latest review for that series lol. I really want to read about pirates because I never have! 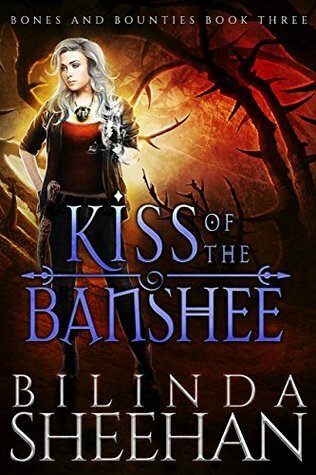 There are not many banshee books out there, but I really want to read one! That cover for WinterDream is just WOW! And it’s a Nutcracker retelling? I definitely need to get this book! I have to be honest, I can’t figure out what’s happening on the cover of Winterdream 😬 It sounds like a good book though! Binding Blood sounds really fascinating. I’ll have to go look up the first book in the series. I hadn’t heard of ALIZARIN CRIMSON BY ERICA MILLARD either, but ooh such a cool premise!! Having the power to manipulate color does sound like such a cool premise! It does kind of look like Shrek had first LOL. But it sounds great! And so does the pirate one! Ooh, a lot of these sound so intriguing and look pretty cool! But I have to say that Alazirin Crimson is the one that caught my eye the most. Mostly because I loved the cover for starters. Then it mentioned Van Gogh’s madness and because Van Gogh interests me a lot that caught my eye second. And then she can manipulate a colour? SO COOL. So, I am completely sold on that one and will be counting on hopefully seeing you review it in the future? Gosh, I know, that cover is gorgeous. I don’t know anything about van Gogh, but I just love the idea of manipulating a color! To be honest, I don’t know if I will end up reading it because you know how that goes, but I might get the chance!